Did you know the public clinical trials registry, ClinicalTrials.gov, was created in February 2000 in support of a 1997 federal law requiring public registration of clinical trials? It was designed as a web-based catalog of clinical trials to serve as a resource for the patient and research community alike. The law has since expanded to require more types of clinical trials research to be registered, and for some trials, results are also required to be posted. Did you know there are at least 4 organizations that may require you to register your study on ClinicalTrials.gov? The FDA, National Institutes of Health (NIH), International Committee of Medical Journal Editors (ICMJE) and World Health Organization (WHO) each have rules about registering. For more details on each, please click here. Did you know the NIH and ICMJE have expanded their definitions of a clinical trial to include behavioral trials? Click here for NIH’s definition. Click here for the ICMJE definition. Did you know that for studies that require results to be posted per the federal law with completion dates after 1/18/17, a final version of the IRB-approved protocol document and statistical analysis plan must be uploaded to the ClinicalTrials.gov record? Limited information may be redacted. For details, click here. Should your study be registered with ClinicalTrials.gov? For more information, see our webpages or contact Ellen Ciesielski (eciesielski@uchc.edu, 860-679-6004) in Research Compliance Services. In order for the IRB to approve a research protocol that will enroll children, the IRB must assess the information provided by the PI and be able to determine that the research falls within one or more of the following permissible categories and that the plans for obtaining the assent of the child and permission of the parents are appropriate. The examples provided within each category were taken from the Collaborative Institutional Training Initiative (CITI) Program. Category 1: Research not involving greater than minimal risk. To be approvable under this category, the IRB must find that the research presents no greater than “minimal risk” to children, and that adequate provisions are made for soliciting the assent of the children and the permission of their parents or guardians. The IRB may determine that permission from one parent is sufficient. A study to determine the relationship between maternal age and head circumference at birth. Measurement of head circumference is part of the normal newborn examination, and is therefore minimal risk. A study to determine the incidence of asymptomatic proteinuria in school age children. The research involves the analysis of a voided urine collection, which is minimal risk. Category 2: Research involving greater than minimal risk but presenting the prospect of direct benefit to the individual subjects. (c) Adequate provisions are made for soliciting the assent of the children and permission of their parents or guardians. The IRB may determine that permission from one parent is sufficient. A pilot study of a shorter duration of antibiotic treatment for uncomplicated otitis media. The potential benefit associated with the shorter duration of treatment is increased compliance, and a reduced rate of antibiotic-related diarrhea. The risk associated with the shorter duration of therapy is a higher likelihood of treatment failure. The risk associated with this research (e.g. treatment failure) appears to be greater than minimal but can be justified by the anticipated benefit (reduce rate of antibiotic diarrhea); and there is the prospect of direct benefit to the child (increased compliance, shorter exposure time, and a reduced rate of antibiotic-related diarrhea). If the risk-benefit relationship is as favorable as the one seen with standard care (e.g. use of the antibiotic for standard time frame), this research would be approvable under this category. Use of a placebo, or routine monitoring for safety, is not considered to provide direct benefit to subjects. Category 3: Research involving greater than minimal risk and no prospect of direct benefit to individual subjects, but likely to yield generalizable knowledge about the subjects’ disorder or condition. (d) Adequate provisions are made for soliciting assent of the children and permission of their parents or guardians. In most cases permission from both parents is required. A study to determine the clinical relevance of a new technique to quantitate minimal residual disease (MRD) during therapy for acute lymphoblastic leukemia in children. The study requires one additional bone marrow aspirate be performed during the course of treatment. Therapy for the subject will not be altered based on the results of the assay. However, if it can be shown that the presence of MRD predicts poor outcome, in the future, patients with MRD can receive more intensive treatment and increase their chance of cure. It can be argued that the risk of a bone marrow aspirate in a child is only a minor increase over minimal risk. Further, the risk appears commensurate with risks inherent in the subject’s actual medical situation, and the research may yield knowledge of vital importance about the child’s disease (leukemia). (2) (i) the research presents a reasonable opportunity to further the understanding, prevention, or alleviation of a serious problem affecting the health or welfare of children; (ii) the research will be conducted in accordance with sound ethical principles; (iii) adequate provisions are made for soliciting the assent of children and the permission of their parents or guardians. Assent means an affirmative agreement to participate in research used with those who are not competent or not of legal age to provide informed consent. Failure to object may not be construed as assent. For children to participate in research, the IRB must determine that adequate provisions are made for soliciting the assent of the children when in the judgment of the IRB the children are capable of providing assent. The IRB will take into account the ages, maturity, and psychological state of the children involved. The judgment may be made for all children to be involved in research under a particular protocol, or for each child. When the IRB determines that assent is required, it shall also determine whether and how assent must be documented. The IRB may determine that assent is not a necessary condition for proceeding with the research if the capability of some or all of the children is so limited that they cannot reasonably be consulted or that the intervention or procedure involved in the research holds out a prospect of direct benefit that is important to the health or well-being of the children and is available only in the context of the research. Permission is the agreement of parent(s) or guardian to the participation of their child in research. Permission is generally documented by have the parent(s)/guardian sign an informed consent document. For research studies not involving greater than minimal risk (Category 1 ) and research involving greater than minimal risk but presenting the prospect of direct benefit to the individual subjects (Category 2) the IRB may find that the permission of one parent or guardian is sufficient. For research studies involving greater than minimal risk and no prospect of direct benefit to individual subjects, but likely to yield generalizable knowledge about the subjects’ disorder or condition (Category 3), and for research studies not otherwise approvable which presents an opportunity to understand, prevent, or alleviate a serious problem affecting the health or welfare of children (Category 4), both parents/guardians must give their permission unless one is deceased, unknown, incompetent or not reasonably available, or unless only one parent has legal responsibility for the care and custody of the child. If the IRB determines that a research protocol is designed for conditions or for a subject population for which parental or guardian permission is not a reasonable requirement to protect the subject (e.g., neglected or abused children) it may waive the consent requirements provided an appropriate mechanism for protecting the children who will participate as subjects in the research is substituted, and provided further that the waiver is not inconsistent with Federal, state or local law. The choice of an appropriate mechanism would depend upon the nature and purpose of the activities described in the protocol, the risk and anticipated benefit to the research subjects, and their age, maturity status and condition. Children who are wards of the state or any other agency, institution, or entity can be included in research involving greater than minimal risk and no prospect of direct benefit to the individual subjects, but likely to yield generalizable knowledge about the subject’s disorder or condition (Category 3) or research that is not approvable under a defined regulatory category but that presents an opportunity to understand, prevent, or alleviate a serious problem affecting the health or welfare of children (Category 4) only if the research is related to their status as wards, or is conducted in schools, camps, hospitals, organizations, or similar settings in which the majority of children involved as subjects are not wards. Each child must have an advocate appointed who has the background and experience to act in, and agrees to act in, the best interests of the child, and who is not associated in any way with the research, researchers, or guardian organization. Implementation of the revised version of the Federal regulation governing federally funded/supported research (i.e. 45 CFR 46, also known as the Common Rule) has been delayed until July 19, 2018. 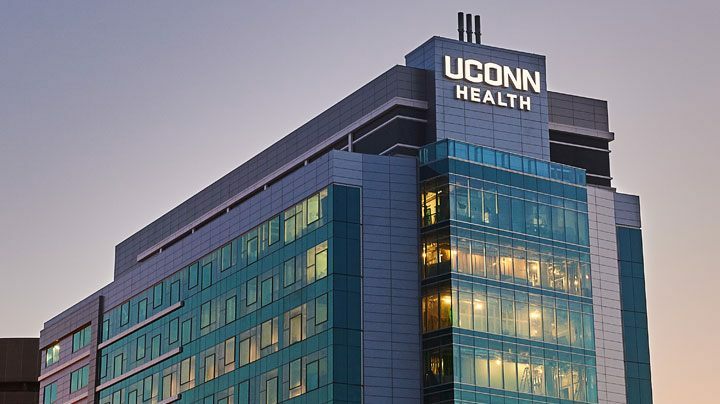 In spite of this delay, the UConn Health IRB has moved forward with implementing several changes that aim to reduce regulatory burden on investigators while still offering protection to research participants, complying with current regulatory requirements and being prepared to comply with the revised requirements. Several IRB forms, templates and policies have been revised. Understanding the reasons for these changes, what has been changed and to what type of research these changes apply may aid investigators in complying with IRB polices as well as with federal regulations. The following table lists the UConn Health IRB polices that have been changed, a description of the change and the IRB forms that have been modified due to the policy revisions. 2011-008.0 -Informed Consent – Forms This policy has been revised to include the additional elements of consent put forth in the revised version of 45 CFR 46. These elements, while currently optional, will become required for Federal Funded /Supported (FFS) research only if the proposed revised regulation is implemented. If implemented these elements will be required for FFS research initially approved after the effective date of the regulation or for FFS research approved prior to the effective date of the revised rule that is still enrolling subjects and that is being transitioned to review under the revised rule. While the applicable regulatory criteria for consent will be used as the general premise for all consent forms, when the research is not federally funded or supported, nor subject to FDA oversight, the IRB may exercise judgement when determining if the elements of consent have been appropriately addressed. * The prospective subject or the LAR will be provided with the information that a reasonable person would want to have in order to make an informed decision about whether to participate, and will be given an opportunity to discuss that information. * The ICF must begin with a concise and focused presentation of the key information that is most likely to assist a prospective subject or LAR in understanding the reasons why one might or might not want to participate in the research. This part of the informed consent must be organized and presented in a way that facilitates comprehension. * Informed consent as a whole presents information in sufficient detail relating to the research, and is be organized and presented in a way that does not merely provide lists of isolated facts, but rather facilitates the prospective subject’s or LAR’s understanding of the reasons why one might or might not want to participate. (ii) A statement that the subject’s information or biospecimens collected as part of the research, even if identifiers are removed, will not be used or distributed for future research studies. * A statement that the subject’s biospecimens (even if identifiers are removed) may be used for commercial profit and whether the subject will or will not share in this commercial profit. * A statement regarding whether clinically relevant research results, including individual research results, will be disclosed to subjects, and if so, under what conditions. * For research involving biospecimens, whether the research will (if known) or might include whole genome sequencing (i.e. sequencing of a human germline or somatic specimen with the intent to generate the genome or exome sequence of that specimen). · The investigator will obtain information related to screening, recruiting or determining eligibility through oral or written communication with the prospective subject. · The investigator will obtain identifiable private information or identifiable biospecimens for the purpose of screening, recruiting or determining eligibility by accessing records or stored identifiable biospecimens. * In order to access records or specimens for such purposes, there must be an established relationship between the investigator and the individuals whose records /specimens will be reviewed. * The investigator may delegate the review to designated UConn Health research staff. * Appropriate measures must be in place to protect the confidentiality of the data being utilized. If the revised regulation is implemented in July this provision will be extended to federally funded/supported research. The investigator should give to the IRB access to the e-consent platform to review the usability of the eIC materials to ensure that they are easy to navigate and that the user may navigate forward or backward within the system, or stop and complete the process at a later time. The investigator must also ensure there is a mechanism in place whereby subjects may ask and obtain answers to questions. When eIC is proposes subjects must still be provided the option of the consent process occurring in person using a paper based consent form. Text in the IRB application in the section regarding confidentiality has been revised to make it clear that the provisions for protecting the confidentiality of the data as described in the IRB application extend data collected during screening. Policy 2011-008.2 – Informed Consent – Waivers and Alterations This policy has been changed to incorporate the new requirement for a waiver or alteration of consent. Per the new requirement, if the research involves using identifiable private information (IPI) or identifiable biospecimens (IB), the investigator must explain why the research could not practicably be carried out without using such IPI or IB. This element is now applicable to all research requesting a waiver or alteration. This policy also now includes new option to grant a waiver of documentation of consent for non-federally funded or supported research. This new option may apply when the subjects are members of a distinct cultural group or community in which signing forms is not the norm, the research presents no more than minimal risk of harm to subjects and there is an appropriate alternative mechanism for documenting that informed consent was obtained. The IRB will evaluate alternative mechanisms on a case-by-case basis based on information put forth by the PI. If the revised regulation is implemented in July this provision will extend to federally funded / supported non-exempt. This policy has been modified to allow obtaining consent from a “next of kin” for adults who are not mentally retarded. If the potential participant does not have an appointed legally authorized representative (e.g., individuals designated as having power of attorney for health care, individuals designated as health care representatives) next-of-kin for adults who are not mentally retarded can consent on behalf of a prospective subject as defined in institutional policy 2012-05 titled Legal Representative for Health Care Decisions. Policy 2011-023.0 – Educational Requirements. This policy has been changed so that human subjects protection training for all research (exempt, expedited, full board or facilitated review), will be verified for all study personnel at the time of initial approval and on an individual basis at the time a request for modification is received to add a person to the study. In order for training to be considered current it must have been completed within the past three years. Policy 2011-009.3 –Institutional Review Board – Expedited Reviews This policy has been changed so that continuing review may not be required for non-federally funded/supported, non-FDA regulated research. I completed my CITI human subject’s protection training recently. Should I submit my CITI Training Certificate to the IRB? If an external investigator completed CITI training through another institution, s/he must submit proof of having completed human subject’s protection training to the IRB because the IRB does not get automatically notified of such completions. If the investigator is affiliated with UConn Health, he/she does not need to submit a certificate of completion. The IRB staff receives the CITI Training certificates one day after individuals have completed the training. Designated IRB staff enter the course completion information into a master training list (Excel) posted in the IRB website and into IRIS. This master training list (Excel) is updated every two weeks. Therefore, investigator should check this list often. In order for the IRB to update the training records in the IRIS system investigators affiliated with UConn Health must have logged into IRIS at least once. Therefore, investigator who have never before log into IRIS should do so right after they have completed the CITI Training. To log into IRIS investigator should click on the following link: https://imedris.uchc.edu , enter their UConn Health network credentials in the ID and PW boxes found in the IRIS logging page, and click on Log in. I am going to submit an application to UConn Health IRB for review and approval. Do I need to request an account in IRIS? Every individual who is affiliated with UConn Health can use the UConn Health ID and password to log into IRIS. Therefore, individuals affiliated with UConn Health (faculty, staff, students, residents, and fellows) do not need to request an account in IRIS. On the other hand, individuals external to the UConn Health will need to request an account in IRIS. To do so the external investigator must complete the online request form accessible from the IRIS home page. Investigators must complete all the required fields on the form indicating why the account is necessary and with whom at UConn Health he/she will be working. The IRB designated staff may contact the person in UConn Health to confirm that the creation of this account is necessary. Accounts will be created within 1-2 business days. I have completed an application for IRB review in IRIS. I do not see the sections that allow me to attach documents for review? What should I do? Open the study, and there you will find Section 1- Submission Packet to the Review Board. Click on “Save and Continue to the Next Section” to build the following sections of the forms that will allow you to attach documents. I am affiliated with UCONN Health (e.g. faculty member, student, employee, or resident, fellow) and I will be part of a study conducted at another institution. That institution has reviewed and approved the study. Do I need approval from the UConn Health IRB? Yes, if you are affiliated with UConn Health and you are acting in that capacity, your involvement in a research study engages UConn Health in the research and therefore the UConn Health IRB must be involved. However, as opposed to conducting a formal review the UConn Health IRB may elect to rely on the IRB of the other institution. To determine if the UConn Health IRB will do this you, you must submit an application for facilitated review to the UConn Health IRB. By submitting this application you will obtain an official determination from the UConn Health IRB as to whether oversight for the study will be deferred to the external IRB. In order for the UConn Health IRB to defer oversight a written agreement must exist between to the two institutions. This agreement is referred to as an IRB Reliance Agreement. Investigators may contact the IRB to determine if such an agreement is in place or needs to be established.